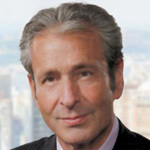 Marc Abrams has joined Whiteford Taylor & Preston as senior counsel. Abrams is experienced in complex chapter 11 cases and non-judicial restructurings, principally on behalf of debtors. He also has extensive experience representing creditors’ committees and groups, opportunistic investors and lenders, as well as substantial experience with restructurings involving foreign insolvency regimes and related cases under the Bankruptcy Code, including chapter 15 cases. Consistently recognized by Chambers Global and Chambers USA as a leading practitioner in Bankruptcy/Restructuring, Mr. Abrams has been named to the Global M&A Network’s 2017 “A-List” as one of the top 100 restructuring & turnaround professionals. The American Lawyer named him 2009 Dealmaker of the Year. He is a member of the board of directors and a Fellow with the American College of Bankruptcy.